Coaching from a Strengths-based perspective is a fast-growing specialized field.The Strengths-based approach towards coaching is rooted within the foundation of Positive Psychology – a vibrant and refreshing angle within the broader field of psychology. The essence of Positive Psychology lies within the attitude and approach it represents: a positive outlook towards the potential, the abilities and the fulfilment experienced in a person’s life. It is concerned mostly with human flourishing and optimal functioning within the awareness, and development of personal strengths and virtues. Further groundbreaking work was done by an educational psychologist who gave most of his life towards a more in-depth study and application of a Strengths-based approach within Positive Psychology, namely the late Sir Donald Clifton (1924-2003). Clifton was professor of educational psychology at the University of Nebraska-Lincoln from 1950 to 1969 when he founded Selection Research, Inc. (SRI) that grew to the point where in 1988 it acquired the Gallup Organization and took on the older company’s name.Clifton is widely recognized as the “father of the Strengths Movement”, with specific reference towards his research and development of the widely popular assessment named after him, the CliftonStrengths™ Strengths Assessment. Clifton hypothesized that these talents were “naturally recurring patterns of thought, feeling, or behavior that can be productively applied” (Hodges & Clifton, 2004, p. 257). “Strengths”, according to Clifton, are the result of maximized talents. Specifically, a strength is mastery created when one’s most powerful talents are refined with practice and combined with acquired relevant skills and knowledge. Clifton invested decades on studying successful individuals, teams and organizations, conducted thousands of interviews and played a key role in the development of the online CliftonStrengths™ assessment tool. This tool is gaining popularity within coaching circles as a Strengths-based discovery assessment and is of immense value when it comes to the discovery and understanding of natural talents, and how to develop them into sustainable strengths. This research paper will focus on the application of the StrengthsFinder® assessment as a tool within coaching individuals and teams, from a Strengths-based perspective, rooted in the principles of Positive Psychology. Incorporating core competencies of coaching with the Strengths-based approach. In this Research Paper, I focus predominantly on the application of the “Full 34” StrengthsFinder report, and not the “Top 5” report. I find the Top 5 reports limiting in a coaching journey as a tool as it only reveals 5 themes out of a possible 34, thus the application of dynamics cannot be applied to its full extent. Also, the research from Gallup shows that a person will find their “Dominant Themes” of talent within a daily base in their Top 10- 12 talent themes, and not merely in the Top 5. 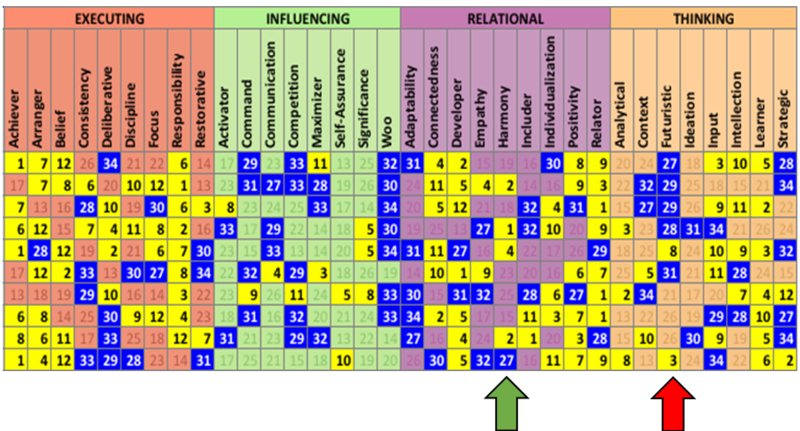 Therefor the Top 5 report gives a restricting and limited overview of someone’s natural potential in talent.The “Non-Patterns” (Bottom 5-8) plays a role within awareness of Strengths – another element that is only revealed by the Full 34 Report. Most importantly my research and application are not merely towards using an assessment like StrengthsFinder towards awareness of strengths or potential, but towards the coaching application within a Strengths-based focus. 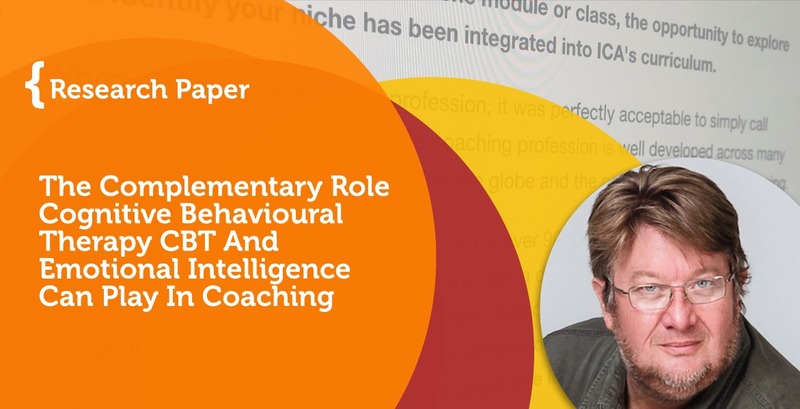 This implies the alignment of the coach’s approach within all the core competencies of ICF with a Strengths-based profile of the client. 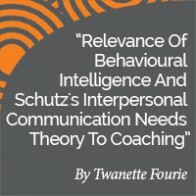 As the most basic definition of a talent theme (as indicated by the 34 StrengthsFinder Themes) is “predominant energy and need”, it serves as a very good indicator within any of the core competencies of coaching towards sustainable energy and need of the client when the coach interacts and explore with the client – without the coach pre-empting anything or stereotyping the client. 2 – give the client a Strengths Awareness towards their own most natural energy within relationships, execution, thought patterns and influence – that then could be translated through coaching into an active belief in self, a celebration of self and an understanding of personal potential and aspirations. 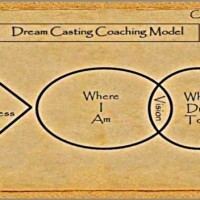 Aligning individuals, partners and team in Coaching. (strategies for embedding a culture of awareness, active listening and celebrating uniqueness in self and others). Gallup’s CliftonStrengths is an online assessment of personal talent that identifies areas in which an individual has the greatest potential for building strengths. The Clifton StrengthsFinder presents 177 items that each consists of a pair of potential self-descriptors. These items are based on the theory and research foundation associated with semi-structured personal interviews that Selection Research Incorporated and Gallup (Harter, Hayes, & Schmidt, 2004; Schmidt & Rader, 1999) used for more than 30 years. 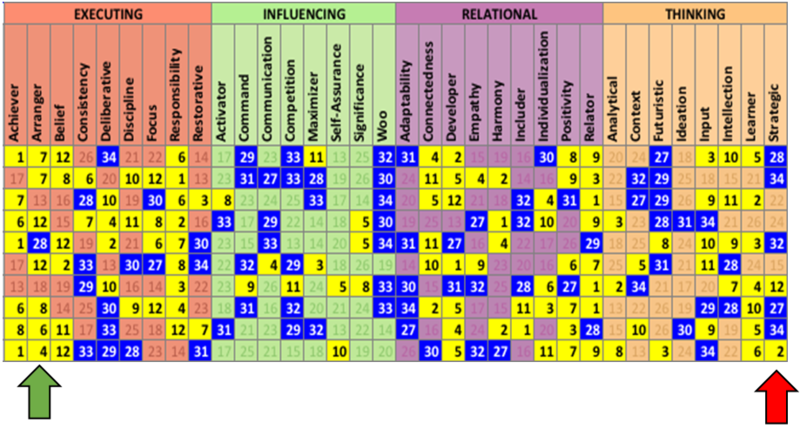 Developed through rational and empirical processes, researchers have repeatedly subjected the Clifton StrengthsFinder to psychometric examination. A summary of reliability and validity evidence gathered to date appears in this report. The report also presents the primary application of the Clifton StrengthsFinder as the evaluation that initiates a strengths-based development process in work and academic settings. The validity of an assessment must be evaluated with respect to its intended purpose. The CSF is an online assessment of personal talent that identifies areas where an individual’s greatest potential for building strengths exists. By identifying one’s top themes of talent, the CSF provides a starting point in the identification of specific personal talents, and the related supporting materials help individuals discover how to build on their talents to develop strengths within their roles. The primary application of the CSF is as an evaluation that initiates a strengths-based development process in work and academic settings. As an omnibus assessment based on positive psychology, its main application has been in the work domain, but it has been used for understanding individuals and groups in a variety of settings, including employee, executive team, student, family, and personal development. The CSF is not designed or validated for use in employee selection or mental health screening. Given that CSF feedback is provided to foster intrapersonal development, comparisons across profiles of individuals are discouraged. Today, the CliftonStrengths Assessment is available in more than 25 languages and is modifiable for individuals with disabilities. Worldwide, more than 18 million individuals (2018) have taken the CSF. It is appropriate for administration to adolescents and adults with a reading level of grade 10 or higher. The CSF’s intended purpose is to facilitate personal development and growth. It is intended and used as a springboard for discussion with managers, friends, colleagues and advisers and as a tool for self-awareness. CSF results are a preliminary hypothesis to be verified with the respondent. Accordingly, feedback about talents and strengths development often forms the basis of further interventions that help individuals capitalize on their greatest talents and apply them to new challenges. Understanding “Why you do what you do”, from a Strengths perspective – and why it is important in Coaching. 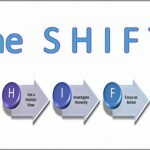 As mentioned earlier, my approach within Strengths-based Coaching of individuals and teams is not centered primarily around the CliftonStrengths tool. The assessment is extremely useful in the sense of forming a foundation for self-awareness and other awareness from a Strengths-based perspective, especially when it comes to the defining and explanation of patterns of thought, feeling and behavior. More importantly though is the common language that is created and adopted – both from the Theme Descriptions of the CliftonStrengths assessment, but also from the language found within Positive Psychology. In creating a common understandable language, you create momentum towards alignment between individuals and teams, and you create an essential foundation built on mutual respect, understanding and interdependence. Once this understanding and language is created, the true coaching journey starts – a journey built on coaching principles and -dynamics. Few tools create a more solid foundation for coaching principles like awareness, communication, trust, and accountability. This said, and CliftonStrengths being my tool of choice, it must be emphasized that, in a coaching process, any scientifically sound and validated Strengths-based tool can be used with great effect. 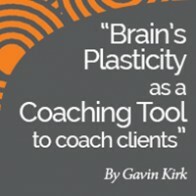 It is the approach of the coach that makes a Strengths-based approach effective – an approach founded on Positive Psychology, Appreciative Enquiry and the firm belief that every individual is unique and has their own unique combination of talents – even if only (still) merely as potential for them to discover and develop. This is where the philosophy of Strengths aligns beautifully with an appreciative coaching process. 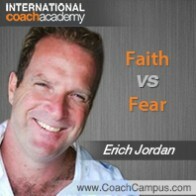 Awareness in coaching answers a very important question: the “Why you do what you do” question. The biology of the “Why?” is very well explained by Simon Sinek in his “Start with Why”. This correlates seamlessly with a holistic or three-dimensional approach towards coaching, addressing a person’s thinking (head), the feeling (heart) and the actions (hands) – but, you need to start with the heart – start with the “Why?”. In coaching, if someone is unclear about their deepest motives or motivations, they will project an uncertainty towards those around them also. Not only will they be inconsistent in their decisions, but they themselves will not thrust their own decisions, and neither will others. From a Strengths-based perspective, this is exactly how the discovery and understanding of your natural patterns of thought, feeling and behavior (Talent Themes) through an assessment like CliftonStrengths becomes so valuable a tool for a coach and a client. It provides clarity on their deepest energy and deepest need that drives motivation and therefor also decision. I explain a talent to my clients as “energy and need” to think feel and behave in very specific patterns. When these patterns are managed well and cultivated with knowledge, skills and experiences, you turn it into a Strength that you own and use optimally. A talent is not ability – a talent is sustainability. And when you can assist a client to not only understand their natural patterns of sustainable energy and need- and then to embrace and celebrate it as “what is right” about them, something magical happens in coaching. You can see someone gather the means from within themselves to make decisions and take actions in a confident and clear manner – without any need for someone else to be directive or act on their behalf (things that are far removed from coaching as a practice). The four domains are named as Executing themes, Influencing themes, Relational themes and Strategic Thinking themes. On the surface, the themes above are merely seen as the “Doers” (Executing), the “Influencers” (Influencing), the “Feelers” (Relational) and the “Thinkers” (Thinking). Although this is true, there is more to it that should be extracted by a coach – be it with individuals it with teams. It is the collective expression of “Needs” of the themes within each domain. One of the most important questions that forms a golden thread throughout any form of coaching, is the question “What do you need?”. Understanding your own needs is crucial for growth. 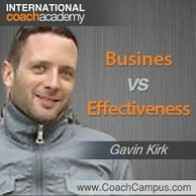 For a coach, getting clarity on the needs of a client is absolutely essential. When you move from coaching individuals towards coaching teams, individuals can then clearly and confidently express their personal needs and decisions, and align it with differences in thought, feeling and behavior in a team, without compromising relationships or outcomes. To me it is always amazing how people can tolerate frustration and irritation that arises in teams from differing personalities in a mature and professional manner as soon as they have not only discovered their own unique patterns of energy and need, but when they understand it in every team member, and celebrate and embrace difference as something strong, and not something wrong. Furthermore, when a team can see a matrix of combined talents (energy and need) and combined weaknesses (which forms their natural avoidance or resistance), they can identify possible “gaps” in a team, and also start to formulate and celebrate different roles by allowing individuals with the aligned strengths to play where they play with strongest energy and need. I worked with a corporate leadership team in a coaching journey by having individual Awareness Sessions with each team member, and then thereafter engaging with them in individual coaching sessions towards their personal needs and energy. During the individual sessions, it became clear to me that a lot of frustration was experienced by nearly all team members because of a lot of discussions and planning going on in team meetings, but very little decisions were made. Actually, the feedback was that the team seemed resistant towards decision making. One of the team members – let’s call him Mike (not his real name) in particular was extremely outspoken about his frustrations in this regard, especially because he had the experience that the right decision was always very clear to him, but the rest of the team won’t see it, or agree, and then just lean towards continuous discussion without decision. The other frustration was that the Chairperson of the team seemed to encourage the discussions rather than drive towards decision. Everyone seemed very frustrated with the non-decisive outcomes of the team, but could not understand why this was happening, and simply regarded the team (and the Chairperson) as being dysfunctional. I found that the individual coaching that I had with them, prepared them well to come up with ground rules that was very much in line with Core Competencies of coaching. This was a positive for me right at the start. As the Coach I agreed to facilitate the ground rules, but also to participate fully in the role of a coach. The outcome of the first coaching session (which lasted about 3 hours), came to the point where everyone felt that they had an opportunity to express themselves clearly on openly. They all also felt that it was constructive and that they identified one specific area of concern: not being able to drive decisions as a team. They decided as a team to make this the topic of the next coaching session. The second coaching session was focused on me first explaining to them the impact of their individual talents from a Strengths-based perspective as a team. For this I used a matrix. As illustrated below, the matrix was based on the results of their CliftonStrengths Assessments. The matrix was set up to identify clearly the four domains of talent (also color coded) as Executing, Influencing, Relational and Thinking. Under each Domain the relevant individual talent themes were listed. Each individual in the team had their sequence of talents displayed in both numerical order and color. I displayed the Dominant Talent themes (first 12 on each report) in yellow, and the Non-Patterns (last 5 on each report) in blue. This was to indicate both individual natural energy and need (yellow) as well as individual natural resistance (blue). 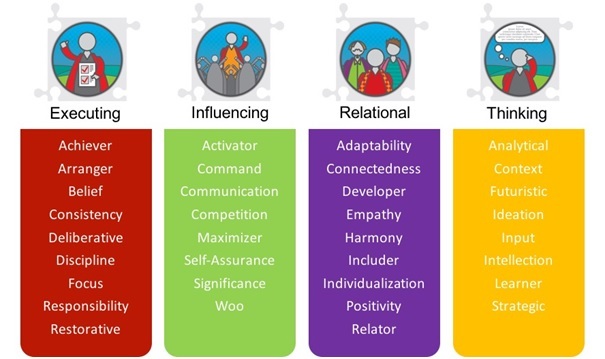 It also revealed both similarities and differences between team members in their collective energy and needs from their talent theme sequences. When this matrix is shown to the team, I follow a Coaching approach rather than a Consulting approach in terms of asking questions in order for them to identify patterns that is relevant within the results. Keep in mind that they went through an Awareness Session regarding the CliftonStrengths results individually and received material on detail explanation of the themes and their meaning and impact – especially with regards to the energy and need of each talent theme. The important skill to apply as a coach within team coaching, and when using assessment results like this, is to be very aware and focused not to start consulting or become directive. I believe it is a very easy trap to step into as a team coach – and it immediately shifts the impact from team coaching towards training or consulting if one is not careful. The same coaching competencies that is applied in individual sessions is just as relevant in a team session from a Strengths-based perspective – actually even more so. In most cases, teams come up with brilliant Strengths-based interpretations from information like this Strengths Matrix. After the Team Coaching session from a Strengths perspective (always keeping the focus on “what is right with each person, true to a Positive psychology approach), I then ask permission from the team to reveal to them some of my own perspectives from the matrix – which will then confirm some of their perspectives or add to it. In the case of this specific team, this approach was incredibly revealing as to their resistance and blind-spot towards decision making. This clear result confirms their frustration towards their own energy and need that created a blind-spot. The talent theme of Strategic has the energy and ability to spot different options clearly, and then the need to make a decision fast. I refer to this energy as the need for “Battlefield Decision-making” – fast, immediate and decisive. Arranger, on the contrasting end, has the natural energy and ability to see various possibilities from a big-picture perspective, and then the need to discuss it, to arrange (organize) it and to make a collective decision based on all the information available. I refer to this energy as the need for “Boardroom Decision-making” – inclusive, slower and taking everything into consideration. It is very clear how this team naturally gravitates towards the latter, and how the natural energy and need they have for collaboration becomes their own detriment. Also, very revealing was the case of Mike (referred to earlier as the individual who had extreme frustration with the non-decisive nature of the team). Mike is the only member in the team with a very strong Strategic talent. (He is displayed in the last line, with Strategic at nr 2). And, although Mike is also strong in Arranger, his Strategic, by his own admission, always takes the lead with a strong need for making fast decisions. The need for Harmony was extremely strong in the team, with four of the members having the Harmony talents energy and need in their Top 5 on their sequence. This includes the Chairperson (second last line) with not only a strong need for Harmony, collaboration and agreement, but also the only one in the team with an immense strong energy and need to include everyone (Includer). Also note how Mike has a resistance to Harmony and no need for it and would often clash with the team in this regard. Just as revealing was the overall low energy and need for Futuristic as talent. Only two (including Mike) have this theme strong, and nearly all others is resistance to it. Futuristic as a strength if proactive in energy and need, it is visionary and always reaches out to a preferred future – which obviously has an impact on decisiveness. The impact on the team was very clear to them. There were other strong talents at play (like Responsibility, Relator and Achiever) as well as combined weaknesses like Woo, Adaptability and Competition, but as the team agreed to focus on one thing only for this coaching session, and they chose the topic as “their indecisiveness”, I focus on this only for this case study. All of this was experienced and very revealing to the team, but now actions and next steps had to be taken. My role as a Strengths Coach was to facilitate a discussion on this, making sure they keep within a framework of celebrating differences and acknowledging uniqueness. I always find that, once the foundation has been laid within clarity and understanding of differences in energy and need, a new appreciation enters discussions, even between team members who did not get along well in the past. The decision that was reached, was found within connecting specific roles towards team members, especially during the meeting times when they needed to get to a decision. Mike was given the task (and gladly accepted), to “drive decision making” by facilitating a preset timed discussion within each meeting that primarily focused on options and decisions. For the first time, everybody celebrated the contribution of urgency that Mike brought with his Strengths, and Mikes frustration and disengagement vanished. It was a process that had its own growing pains, but, six months later I was informed by the Chairperson that the team was in a completely different space. Decision flowed from every meeting. The company experienced fresh and energized vision and direction from them as a leadership team. And, as a Chairperson, he felt relieved and empowered by the support he got from mike when it came to the decision-making process. As a Coach with a passion for uniqueness and individual potential in people, I find a Strengths-based approach extremely beneficial and supportive, when aligned with key core competencies and other relied upon coaching skills. If any assessment is used without a coaching approach filled with competent and skilled coaching techniques, I am of the opinion and experience that you merely create excitement without action, growth or change. The most important focus of a coach – and especially a Strengths-based Coach, must always be to search and explore “beyond awareness”. Awareness of somebody’s natural talent, strengths, personality profile or personal styles are very interesting in almost all instances – booth foe coach and for client. But if this type of awareness becomes the central focus and element of the coaching, then it is simply not coaching any longer, but rather training or consulting. It took me years of experience and training in both coaching practice and skills, and within a Strengths-based understanding, before I had the experience and feedback that my coaching journeys, with individuals and with teams, had true lasting impact for them. The importance of self- and other-awareness within teams. When true awareness of personal and collective behavior, thinking and emotions are addressed, people tend to naturally align better with each other. The importance of a coaching approach when working with teams to solve a problem. Mostly facilitators try to address team issues either individually with team members, or through either a training or a consulting process with the team collectively. A coaching approach – guided by core competencies and skills as a coach – truly enhances the participation of team members, and it brings impact through their joint exploration of an issue, and with finding the answer amongst themselves. The power of celebrating uniqueness and having respect.It is as if clarity on personal uniqueness, and the positive celebration of it, truly lifts a person to a level of confidence and excitement, from where they are much more able and willing to find their pathway towards any solution or through any challenge. Tom Rath, Gallup Press, 2009. Simon Sinek, Penguin Publishing, 2009. Mihaly Csikszentmihalyi, Harper Collins Publishing, 1997.